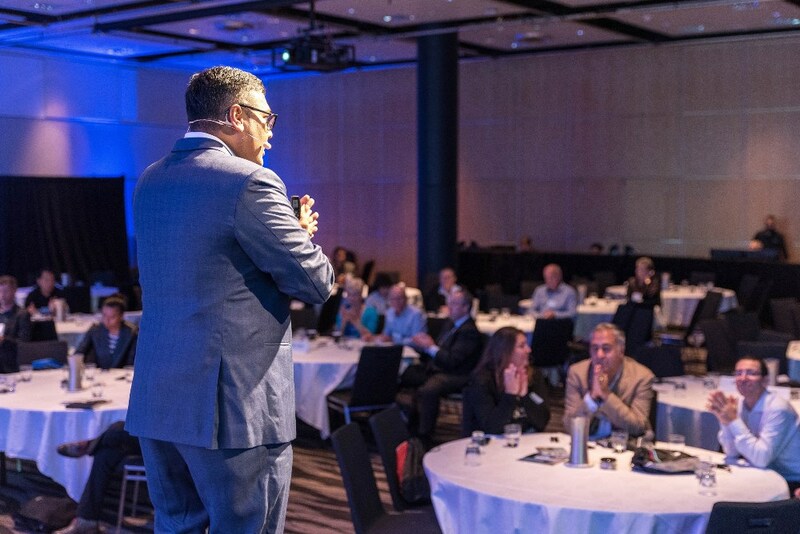 Speaking in over 34 countries and to audiences as big as 10,000 people, Jerome Joseph is highly sought after keynote speaker for Brand related programmes given his recognition as a TOP 30 Global Thought Leader on Branding. His experience as a CEO of a NASDAQ listed Brand agency, and working with over a 1,000 Brands brings practical ideas and thought leadership to inspire organisations to transform their Brands. Jerome Joseph’s ability to connect with his audience is unparalleled. His passion and gift for story telling, complimented with real life business ideas and frameworks makes him a sought after speaker. Our unique and proven training methods conducted by global speaker and practitioner cover more than just growing and differentiating your Brand. A world-class Brand is grown by continually evolving and carefully planned strategising. Our training programs will provide you with the training and tools required to establish your brand leadership and maintain your own Brand to such a level. Learn how to utilise consumer insights and our proprietary brand experience framework to create a deep and lasting connection between your brand and your audiences. Learn how to stand out, make a difference, be memorable and deliver a worldclass brand through our proprietary 5D framework of Personal Branding strategies. In this powerful program, deep dive into the strategies, challenges and ideas from some of the most successful brands in Asia/World to apply in your own businesses to help you grow and stand out. Create a winning Brand through a strategic blueprint so that your brand stands out from the competition. Every brand has its own compelling narrative. What’s yours? In this keynote, Jerome Joseph will help you recognise & develop brand stories that are compelling, authentic and stand for your Brand. Learn strategies to Win in the marketplace and establish a winning culture, a winning plan and a winning campaign. This program focuses on helping organizations create Brand champions and how organisations can instill a branded culture that is aligned to their Brand and people. from within and lead their people to live and deliver the Brand. Brand Legacy: What do you want to be Remembered for? Your brand legacy is driven by what your Brand stands for and what it wants to be remembered for. Building your Brand legacy is key for increasing brand loyalty, creating meaningful relationships and driving Brand citizenship. Create a brand driven Customer Experience (CX) that turns your customers into raving fans. Learn how to use the right brand tools & strategies to engage your customers and drive brand loyalty. Learn how to anticipate disruption & trends so you can survive and thrive by staying ahead of the competition and creating your own Brand Disruption. Our Sales and Marketing programmes delve into the strategic directions you need to take in order to stay ahead in today’s ever-changing markets. They will enable you to discover how to grow your Brand beyond old limits and do so consistently and continuously. Transform your approach to sales and drive brand value for long term brand success. In the age of Disruption, what are the cutting-edge ideas that can help you engage your customers better and deliver a branded experience.